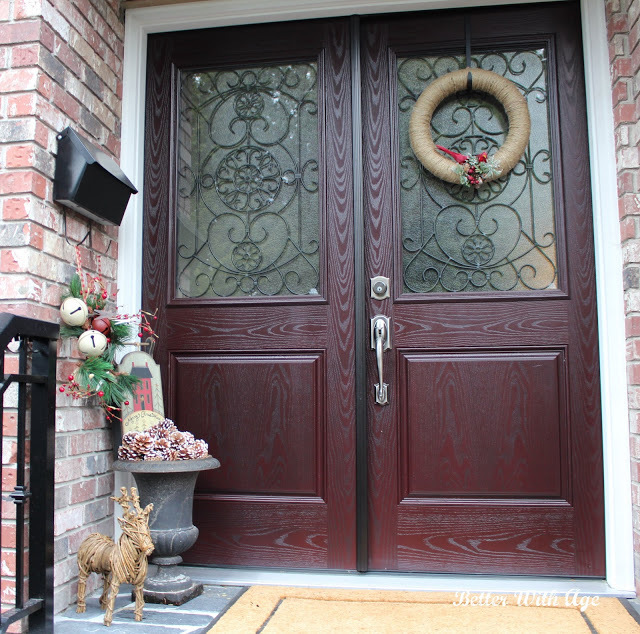 Here is some simple decor for the front door. 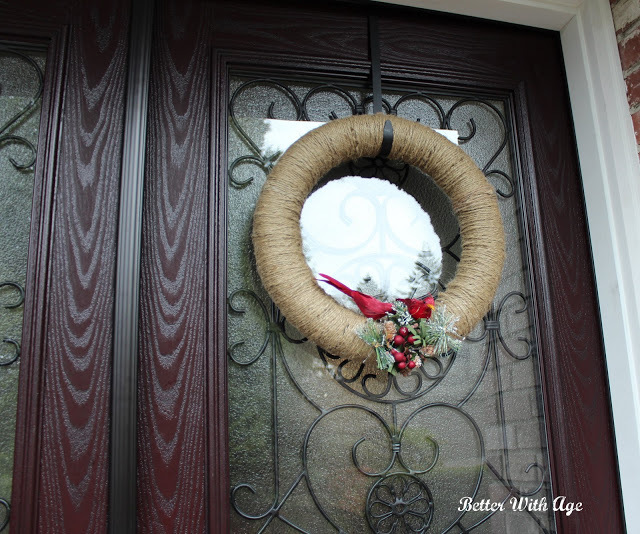 I found this beautiful twine wreath with red cardinals last year at Home Sense. 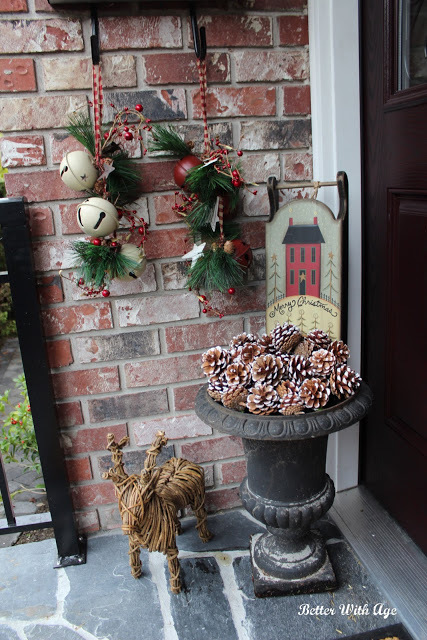 My black iron planter currently doesn’t hold a plant so I filled it with some pinecones, a little wooden sled and a little twig reindeer from Pottery Barn. 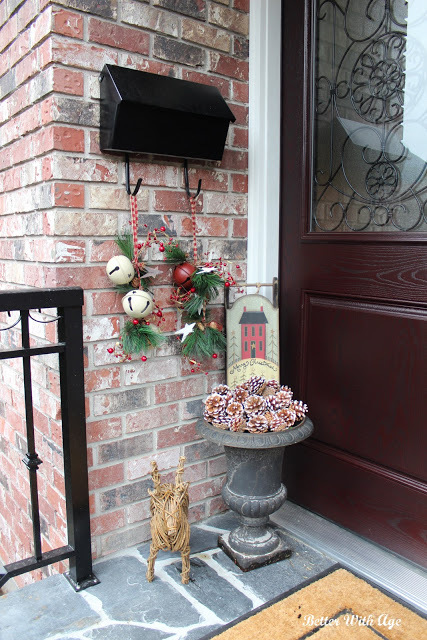 I also added some jingle bell garland on the mailbox. It’s beginning to look like Christmas!